Of course, a drop of kool aid wasn't quite enough... so Chuck ended up pouring out all the colors over the baking soda. The results were lovely and fizzy! And then to "clear up our canvas" we just poured out some of the excess liquid on top into our large bowl. 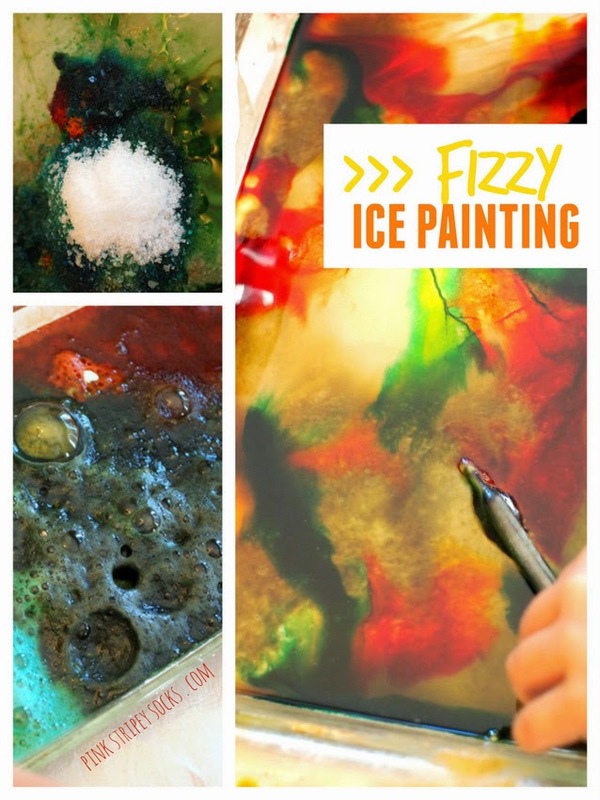 Then, we had fun dripping food coloring onto the ice and swishing it around with our paint brushes and tooth picks. And then we just poured heaping handfuls of salt onto the ice and watched as it absorbed all the lovely colors. Ha! See his green unibrow? As you can tell, we had quite a bit of fun with the food coloring. So I'm going to try doing more open-ended exploratory- non-crafty projects with Chuck. And if you're looking for more of those types of projects, check out the links below! Today's post is part of a series of 35 fun process oriented art posts. 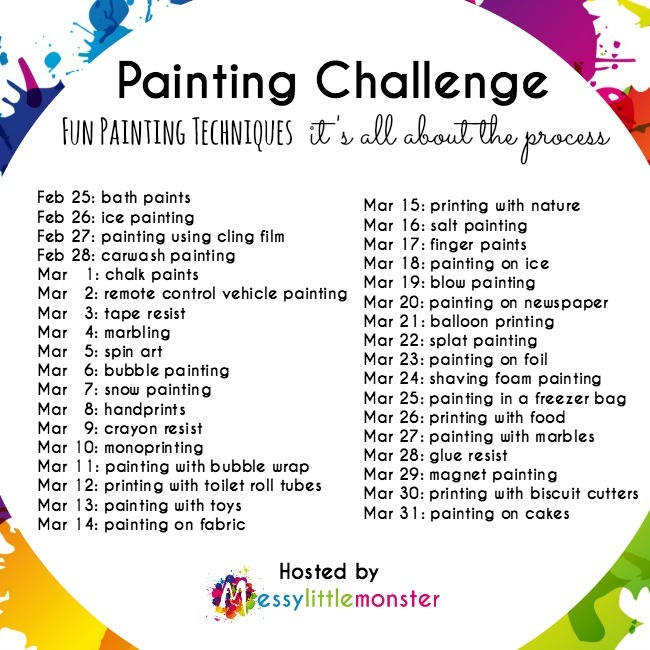 So be sure to check out the other posts to find some other fun ways to play and make art with your kids!